Eccentric Strength session design is a percentage based progression based upon 1 Repetition Maximums (1RM) to increase your maximal strength, or the absolute total amount an athlete can pick up or lift in any given exercise for a 1RM. 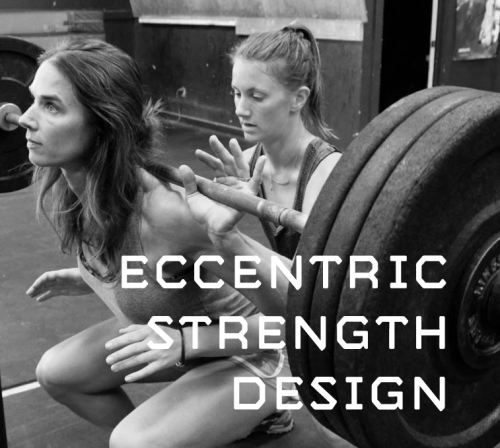 The key to the Eccentric Strength design is the slow, controlled downward motion of the lift, referred to here as the eccentric drop. The progression uses a controlled multi-second eccentric drop per lift. For example, if conducting a Back Squat, you will descend to the bottom of the lift slowly over several seconds. Once at the bottom, rapidly lift the barbell back up. Eccentric reps are incredibly taxing, and require a close spotter for every set. The athlete will likely require a spot on the concentric portion at heavier loads, as they lift the weight back up. Because this methodology is so taxing on the athlete, use exercises that can be easily spotted or exercises where the athlete can easily “bail”. The specific set/rep schemes and percentage progressions we deploy for Eccentric Strength Programming.